What is an “Ultrawide” Presentation? “Ultrawide” Presentations here at TLC Creative Services refer to any presentation that is wider than 16×9. And we are excited by the number of these design projects that come our way each year – a reflection of the increased use of edge blending technology to “gang” projectors and also a reflection of our design team’s expertise in understanding the technical needs as well as design needs for these “Ultrawide” screens. Here is a standard 16×9 setup. 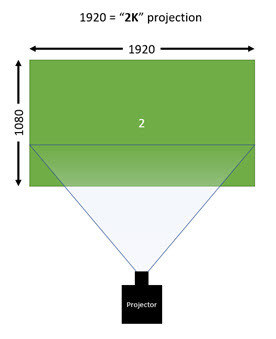 Single projector to a single screen projecting at the industry standard 1920×1080 pixel “high def”. And here is a common Ultrawide setup. 3 High Def projectors ganged together (note: no edge blending consideration in this example) across a single super wide screen for a 5,760×1080 pixel projection. The important element for presentation design is that the slides are setup as a single 5760×1080 presentation, not 3 separate 16×9 presentations. For design, everything from slide transition choices, to size of text are important considerations for the audience experience. Up next, a few portfolio examples of recent Ultrawide presentation template design projects. 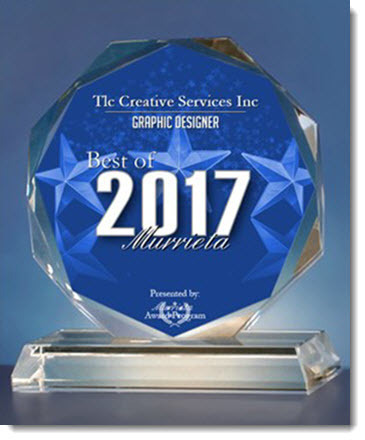 TLC Creative Receives “Best Of” 2017 Award! TLC Creative Services is not based in the larger Los Angeles or directly in San Diego, but we are very proud to have again been recognized as the pick for Best Of in the category of graphic design from our little city! The Presentation Podcast Episode #26 Released Today! A new episode of The Presentation Podcast with Troy, Nolan, and Sandy is available today! Check out their latest discussion – “Typography, Part 2” and add to your favorite Podcasts on iTunes, Google Play, Stitcher, SoundCloud and more at The Presentation Podcast. The Presentation Podcast Episode #25 Released Today! A new episode of The Presentation Podcast with Troy, Nolan, and Sandy is available today! Check out their latest discussion – “What is the Page Size of 16×9?” and add to your favorite Podcasts on iTunes, Google Play, Stitcher, SoundCloud and more at The Presentation Podcast.